Plans are in the works to build a district energy microgrid in Red Hook. The New York City Housing Authority (NYCHA) is seeking proposals for a district energy microgrid for 28 buildings with 6,300 people on 39 acres in Brooklyn. The microgrid will deliver heat, steam and electricity to part of the Red Hook neighborhood, which was pummeled during SuperStorm Sandy and lost eight steam plants. Called the Red Hook Houses District Energy System, it may eventually become part of a community microgrid also planned for Red Hook. That project, the Red Hook Community Microgrid, was one of 83 microgrid projects to win $100,000 through the $40 million NY Prize competition. For the district energy microgrid, NYCHA is seeking a partner to handle financing, design, construction, installation, operation and maintenance of the campus-style system, which will include combined heat and power (CHP), also known as cogeneration. The district energy microgrid will serve 2,873 apartments as well as non-residential buildings, including retail spaces and a community center. City officials say they hope the project will serve as a national model to demonstrate how public housing can cut energy costs and reduce carbon dioxide emissions. A district energy system distributes steam, hot water and chilled water to multiple buildings from a central plant – sparing the buildings from each having their own systems. An accompanying CHP plant can produce electricity and heat for the system. CHP is an exceptionally efficient form of energy because it captures and uses the waste heat typically lost in electricity production. Specifically, the district energy microgrid will include two central generation plants, which will be housed in a flood-proofed building; two heat and power distribution networks, including a medium pressure steam distribution network and a medium voltage electrical distribution network; and backup generators. The two medium voltage electrical networks will serve all 28 buildings at Red Hook Houses East and West. The networks will be independent from the main grid, and capable of future interconnection to the Red Hook Community Microgrid, which would be nearby. That microgrid was commissioned by the New York Power Authority and is being designed by the Brooklyn Community Board 6 and Red Hook NY Rising Committee. 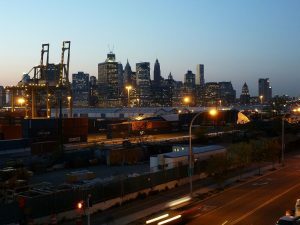 Red Hook – where the median income is 47 percent that of New York City as a whole — experiences power outages more often than most of the city, according to NY Prize documentation. Above-ground lines are exposed and tend to hang low so are easily struck by trucks that drive through the industrial community. Wind, salt from the harbor, and other environmental conditions do harm to older, exposed transformers. This district energy microgrid is meant to advance the goals of NYC Mayor Bill de Blasio to increase energy-efficiency, reduce greenhouse gas emission and create growth, sustainability, resiliency, and equity for the city. Blasio’s One City Built to Last Plan calls for the city to work with utilities on microgrids and other distributed energy projects, such as CHP, fuel cells and battery storage. NYCHA will hold a pre-proposal conference on the district energy microgrid at 1 p.m., June 29, at 250 Broadway, 12th Floor. 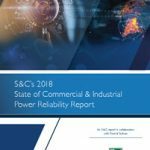 For more information on CHP and district energy microgrids, see “The Energy Efficienct Microgrid,” a part of Microgrid Knowledge’s ‘Think Microgrid’ special report series.